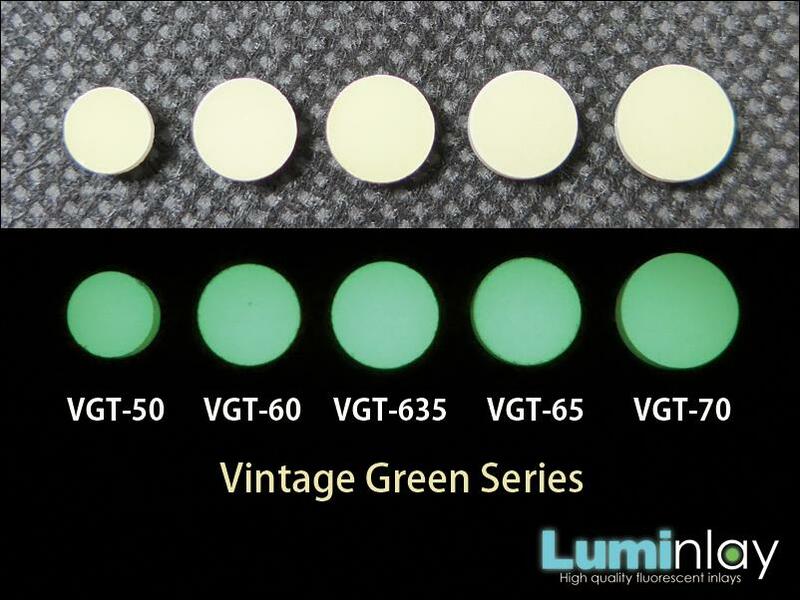 The Vintage series(VBT&VGT) are designed to fit most guitars. 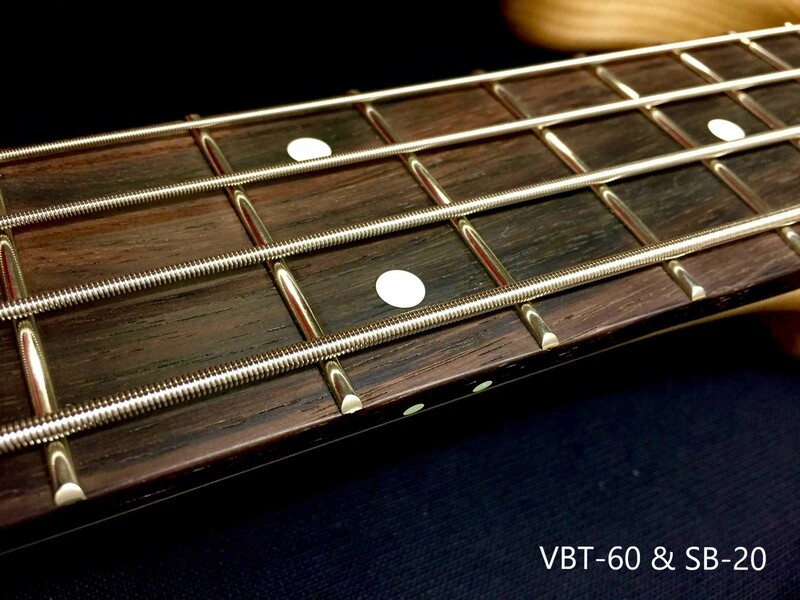 Their body colors are warm(VB:cream,VG: beige), so they look very natural even if you put them on vintage guitars! 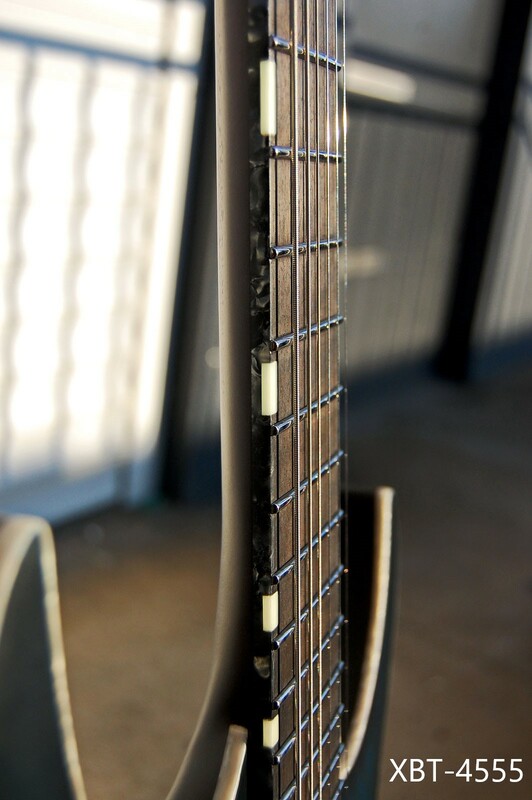 The side and back surfaces are painted white. 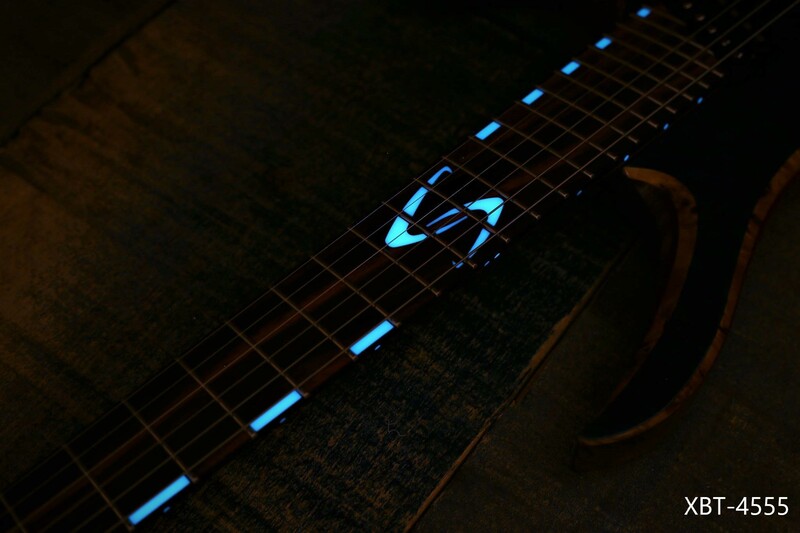 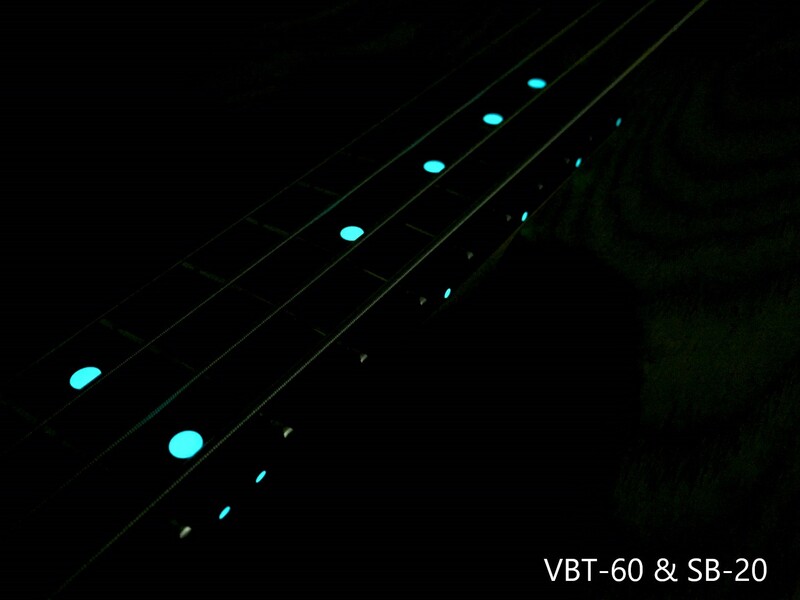 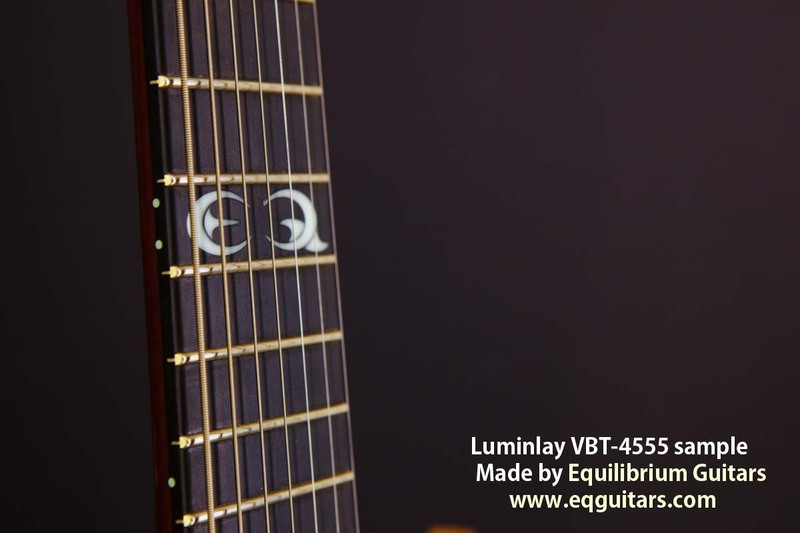 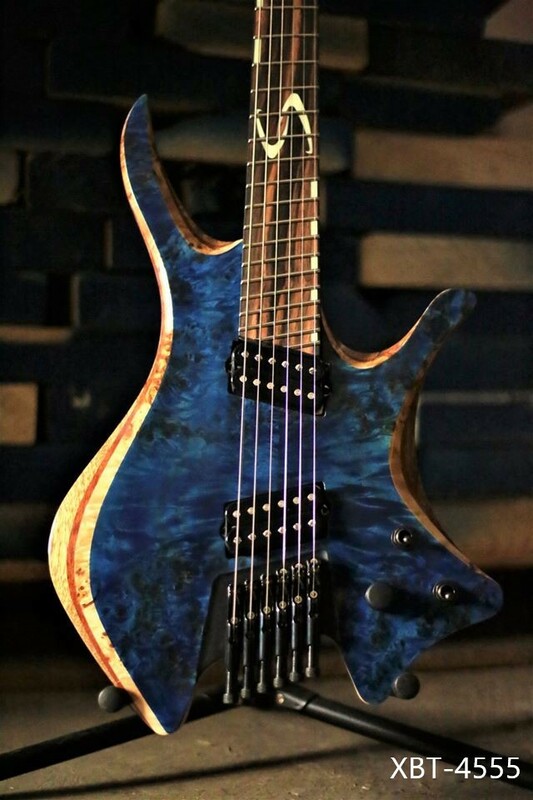 The VBT&VGT series make playing in the dark very easy! 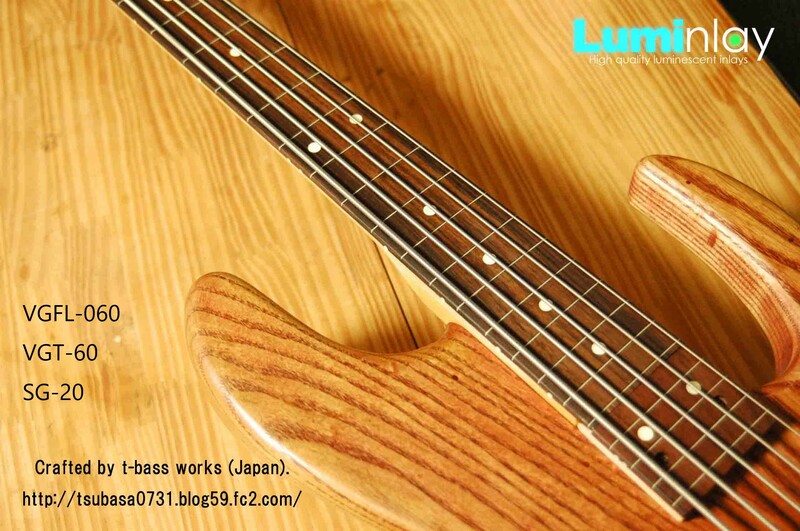 And new XBT series has come. 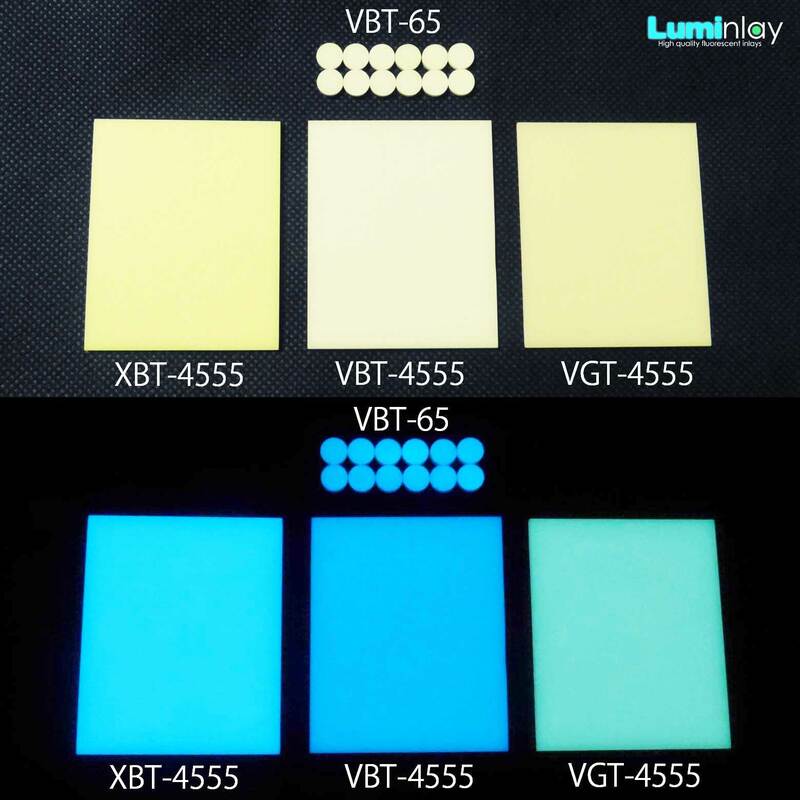 XBT series glows blue stronger than VBT series, the body color is yellow cream. 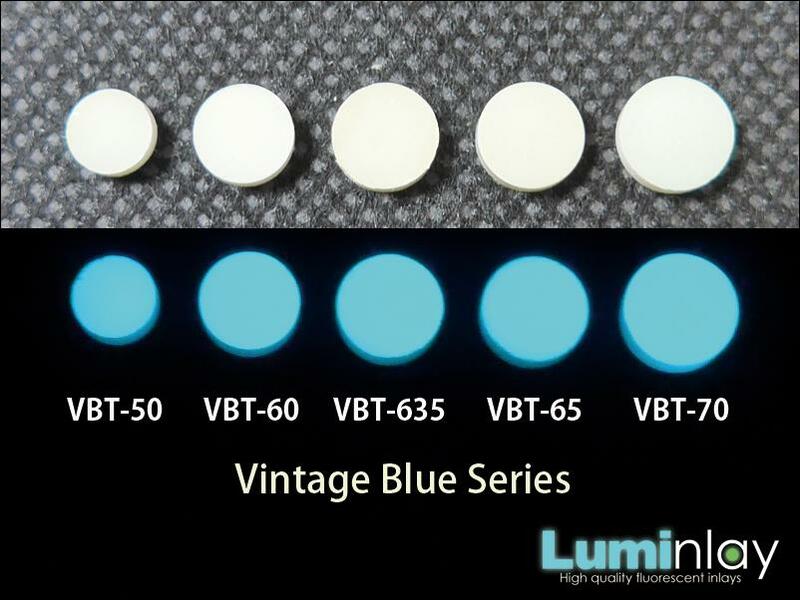 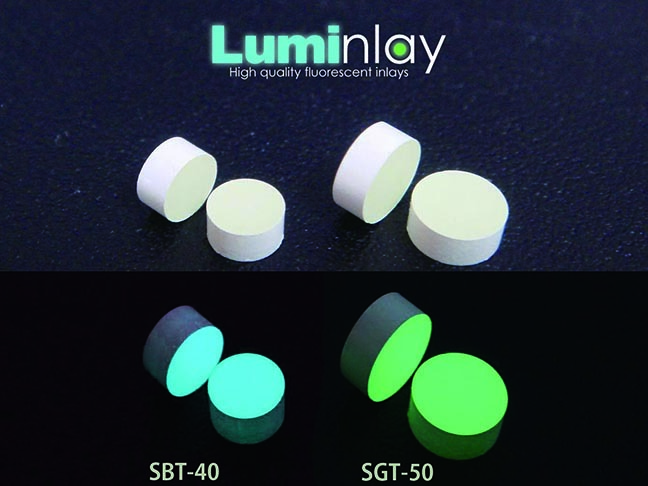 Luminous matarial absorbs short wave lights such as blue,violet ultra violet. 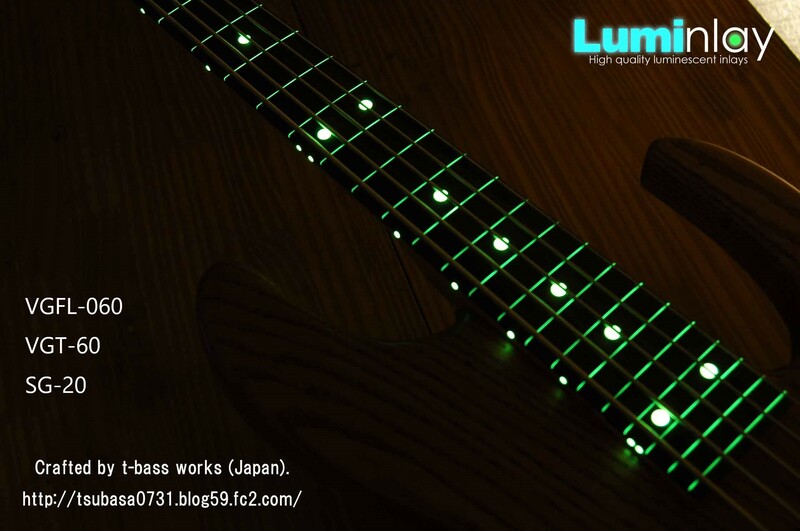 Some venue lighting systems do not, however, contain these light waves that Luminlay depends upon for charging. 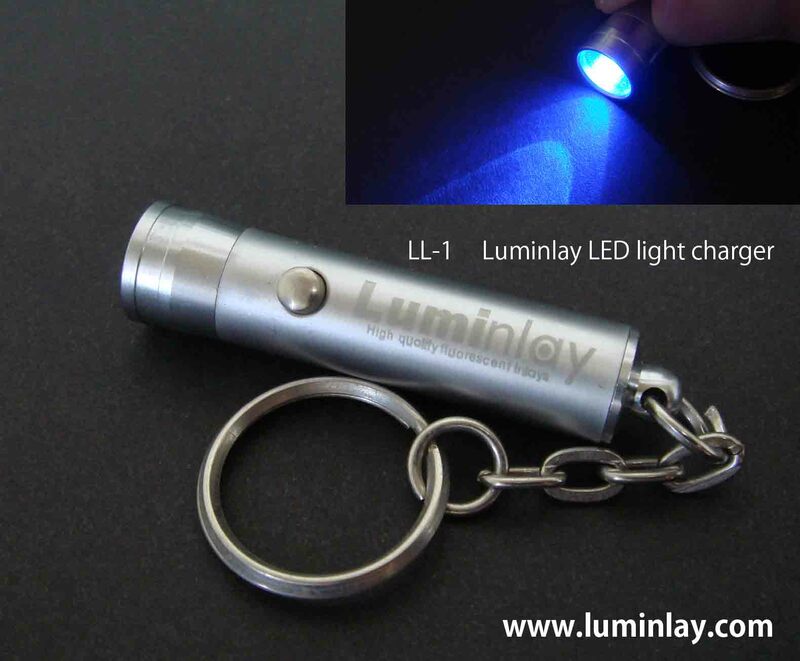 In such cases, the Luminlay light charger (which can be easily kept in a pocket) can be used to charge each position marker within a few seconds. 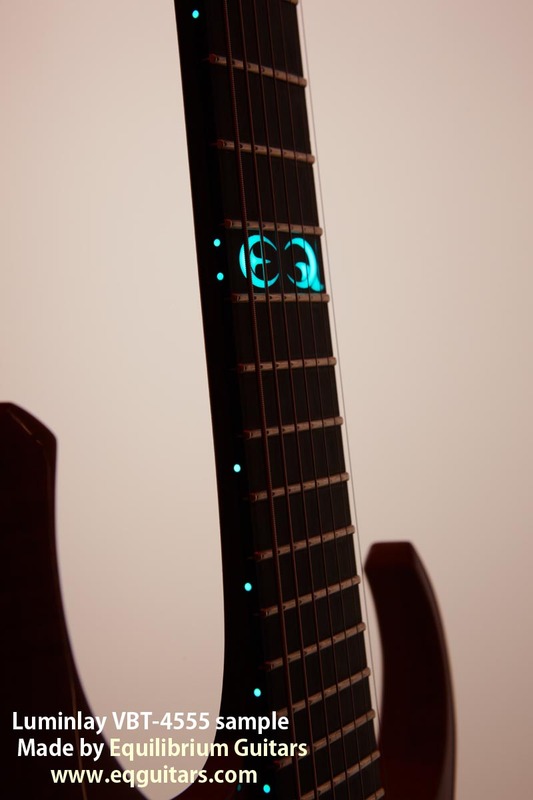 If you put it into your pocket, you can charge lights on stage. 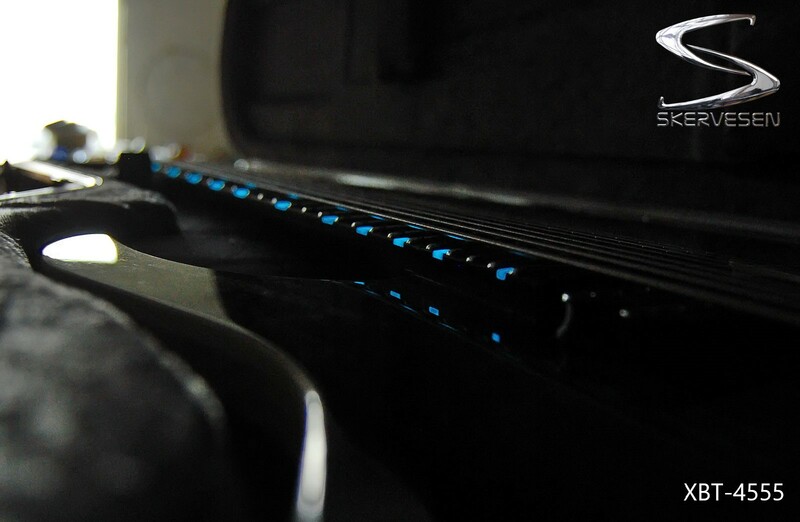 This light charger features a super-bright blue LED with a rugged metal casing.